We are pleased to announce the beta availability of our latest product; Cyotek Palette Editor. 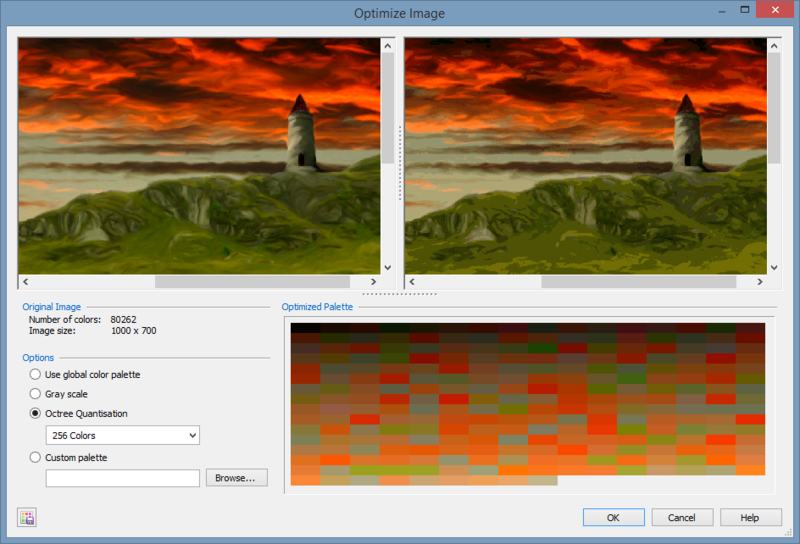 This tool allows you to create and maintain color palettes in a variety of formats, and can either be used as a standalone tool, or as companion tool for Cyotek Gif Animator or other image editors. 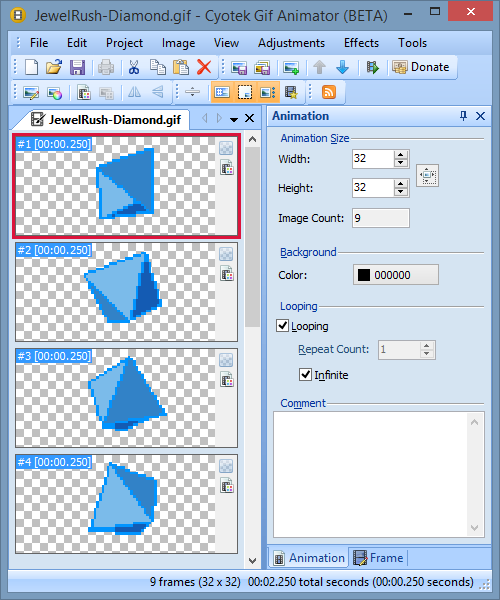 The editor allows you to work with palettes in JASC, Gimp and Adobe Color File formats to name a few. 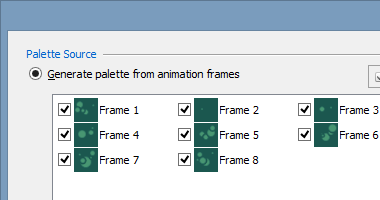 You can create palettes manually, or use helper tools to import palettes from other files or even generate them from images. You can also use the editor to batch convert palettes from one format to another. 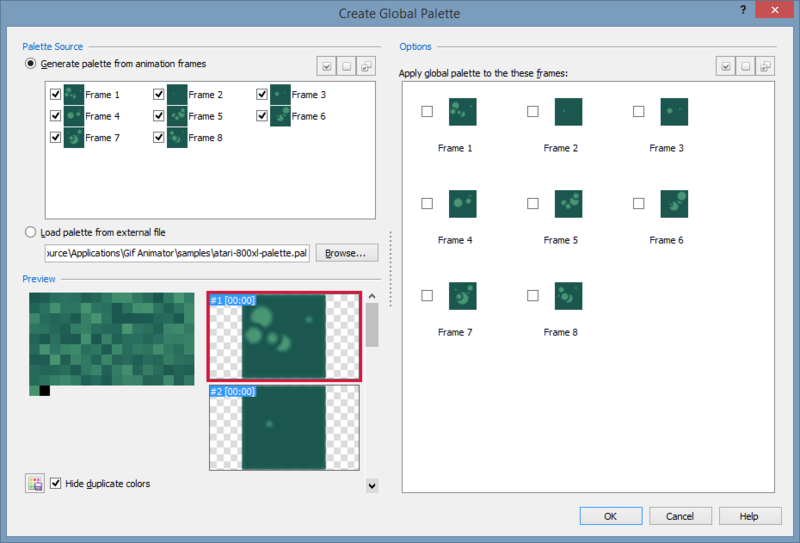 Cyotek Palette Editor is available for free download. If you find any bugs or have any suggestions please feel free to contact us. 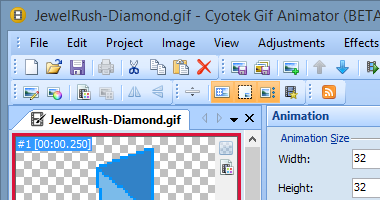 We are pleased to announce the alpha availability of our latest product, Cyotek Gif Animator. 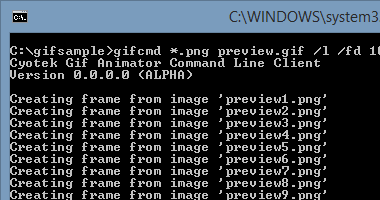 This suite of tools is designed to make working with GIF animation's simple, with both a full GUI client, and a powerful command line client. Using Gif Animator, you can create and modify GIF animations. 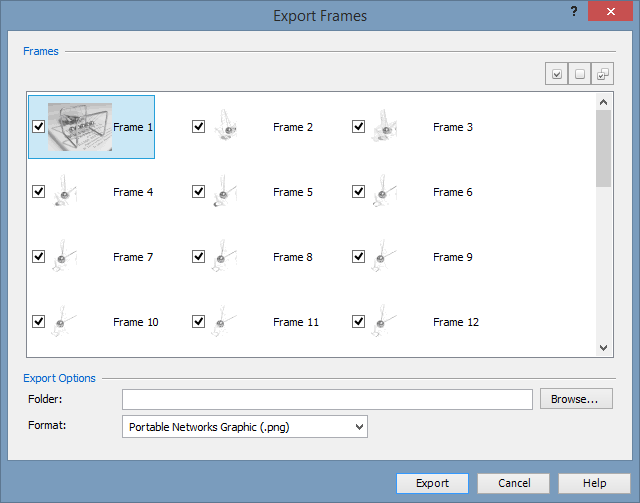 All the basics such as looping and frame timing are supported. 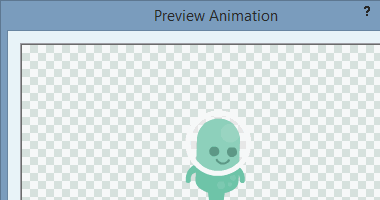 Gif Animator can both import and export in a variety of formats. 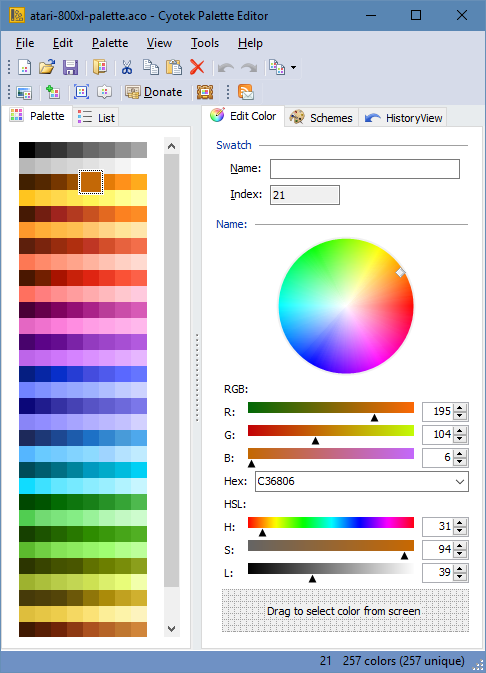 Colour palette management is available, so high colour images can be optimized to the format required by the GIF specification, and palettes can be imported or exported as required. 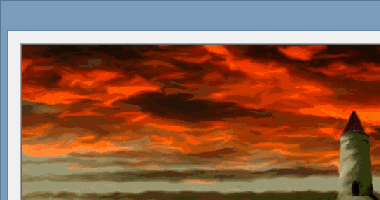 This alpha also includes some basic image manipulation, with a more fully fledged editor to follow in later updates. 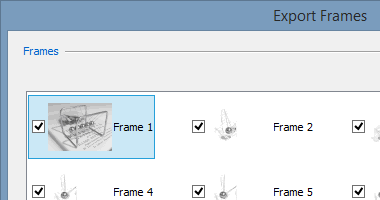 Frames can be edited within an external application with the click of a button. 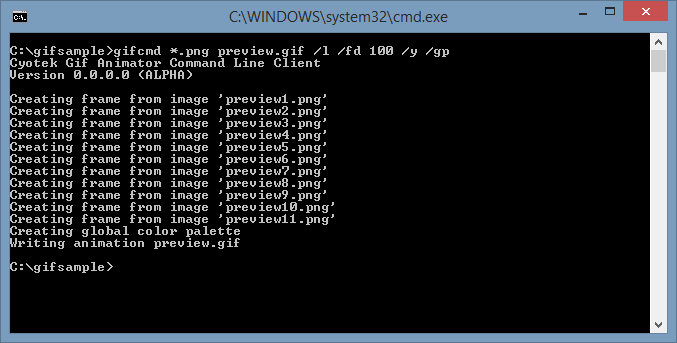 In addition to the GUI client, there is also a command line client, suitable for batch and scripting operations. The command line client can perform many of the options of the GUI client, and we'll be expanding this still further as the alpha progresses. Below are some screenshots showing some of the different features of the tool, view the feature list for further details. Cyotek Gif Animator is available for free download during alpha, if you find any bugs or have any suggestions please feel free to contact us. A new update has been released for Cyotek WebCopy bringing it to 1.0.6.0. This update resolves a number of bugs, including one that can leave a WebCopy project in state where it can be no longer opened. Other bug fixes include problems trying to view the properties of URI's containing spaces, and an issue where a crawl could be cancelled without warning. A smattering of new functionality is also available, the Additional URL's section now allows relative URI's, and the Website Size dialog now supports additional display options. Some performance improvements have also been made for when updating the user interface after loading very large projects, but there is more to be done. A repair tool is available for projects previously left corrupt by duplicate URI's in the crawl map.